There are many companies that say they want your business, but really don’t know what to do with it once they get it. The hard part is done when the customer buys. I am really angered by the lack of follow through. Increasingly it seems that once the money changes hands, they really don’t want to see you. 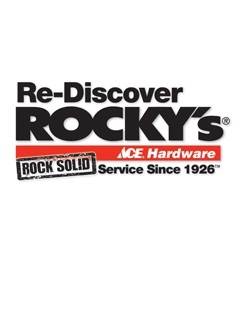 I was thinking about that today as I made a few trips to Rocky’s, my local Ace hardware store. I was working on a toilet and as with all plumbing projects, I was having my challenges. Over the years, I must have bought the wrong thing a gazillion times. They have always cheerfully exchanged or refunded my money. Their staff not only talks to customers, but are good about providing advice. Years ago when Home Depot moved into the area that was supposed to be the death of the local hardware store. Today, Rocky’s is better than ever. As a kid (late 60s/early 70s) you could not go to the gas station without getting something. Esso (now Exxon and owned by Mobil) gave me quite a collection of toy antique cars when my dad filled up. Gulf had these orange plastic horseshoes that you would stick to your metal bumper to illustrate the ‘kick’ of their gas. Anytime you went to the bank you received some sort of key chain or sponge that expanded when you poured water on it. The point is that these businesses acted like they wanted you as a customer. They delivered a good buying experience and made you want to come back. The fact that I remember these things 40 years after the fact is testament to the goodwill that was built. Contrast that to my purchase of a dozen long stem roses for Valentine’s Day. I placed the order five-days before the 14th. When I arrived home shortly after 5:00 PM on V-Day, No roses on the kitchen island, no roses on the dining room table and no roses in my wife’s office. Had she not answered the door I asked? No one came to the door was the response. Now that the surprise was effectively killed, I started calling and calling, hearing busy signal upon busy signal. Finally a machine picked up, ‘Its 5:36′ where are my roses?’ Shortly after six they arrived. Sixty-six dollars, including the delivery charge. The money changed hands. The flowers had arrived, but the florist never delivered. Posted on February 18, 2013, in Business, Life, Management and tagged Ace, business, customer, florist, hardware, management, Rocky's, service, valentine. Bookmark the permalink. Leave a comment.